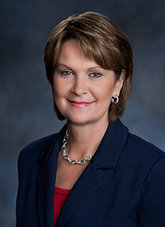 [caption id="attachment_137" align="alignleft" width="165"] Lockheed Martin Chairman, President and CEO Marillyn Hewson[/caption] Lockheed Martin [LMT] on Thursday reported lower profits and sales in its first quarter driven by declines in defense spending and special charges. Net income tumbled 14 percent to $488 million, $1.50 earnings per share (EPS), from $569 million ($1.73 EPS). The lower earnings were driven by a $176 million (54 cents EPS) goodwill impairment charge and a $111 million (34 cents EPS) severance charge. 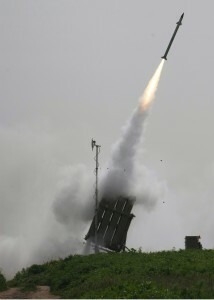 The one-time non-cash goodwill charge was due to lower defense spending and competitive pressures affecting the Technical Services unit within Lockheed Martin’s Missiles and Fire Control segment while the severance charge, which was expected, related to plans announced in November to consolidate facilities and reduce the company’s workforce at the Information Systems & Global Solutions (IS&GS), Mission Systems and Training (MST) and Space Systems segments. 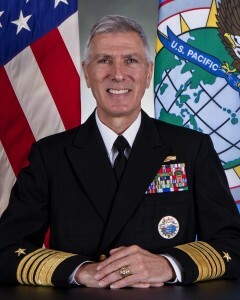 Bruce Tanner, Lockheed Martin’s chief financial officer, said that the type of services work that led to the charge included aircraft and vehicle maintenance related to overseas troop support, in particular, the Army. Excluding the goodwill charge, per share earnings were $2.04 EPS versus consensus estimates of $2.12 EPS. Sales dipped 5 percent to $11.5 billion from $12.1 billion a year ago as all five of the company’s reporting segments posted lower revenues. Bookings in the quarter were just over $15 billion. The Aeronautics, MFC and IS&GS segments registered the largest declines in sales due to fewer deliveries of C-130, F-22 and F-16 aircraft, and reduced volume on the F-35 development contract, tactical missiles, technical services programs, command and control programs for classified projects, the FBI’s Next Generation Identification biometric matching system and the Total Information Processing Support Services. Excluding the special charges, segment operating profits rose on increases at MFC, MST and Space Systems. 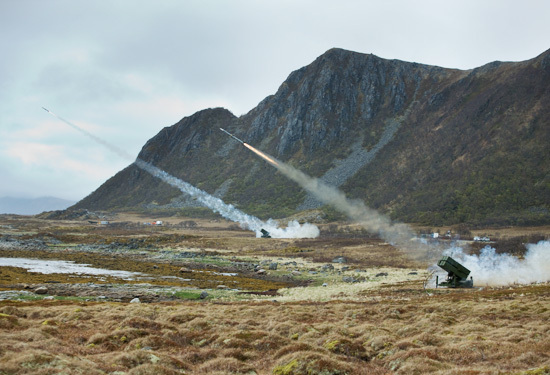 The higher segment profits were driven by risk retirements, and in some cases volume increases, on the Apache, Sniper and LANTIRN fire control programs, the Hellfire tactical missile, the Terminal High Altitude Area Defense (THAAD) Missile System, the MH-60 helicopter program, the settlement of contract matters on a portion of the terminated presidential helicopter program and commercial satellite programs, and higher earnings from the United Launch Alliance (ULA) joint venture with Boeing [BA]. The company introduced guidance for 2014, with sales pegged at between $44 billion and $45.5 billion and per share earnings between $10.25 and $10.55. Orders are expected to tally between $41.5 billion and $43 billion. The forecast excludes the potential impact of an extension to the federal research and development tax credit, which would add about 12 cents EPS to earnings if it is reenacted. Marillyn Hewson, Lockheed Martin’s chairman, president and CEO, said that given the recent congressional budget deal, 2014 will be “at the bottom or near the bottom” in terms of defense and federal spending and that it should begin to rise in the next few years. J.P. Morgan defense analyst Joseph Nadol said in a note to clients on Thursday that the earnings forecast is at the low end of the range for analysts’ estimates, but given the company’s conservatism with initial guidance, “it should be well received.” The guidance includes additional restructuring costs, expected to amount to around $200 million in 2014 and 2015 combined, related to the severance and facility closures announced in November. Tanner also said that the company’s cash deployment strategy in 2014 includes at least $1 billion in share repurchases to ward off the dilutive effects of stock options. The company repurchased at $1.8 billion of shares in 2013. He also said the company has enough “firepower” to consider raising its quarterly dividend again when the board meets in September. In 2013, sales were $45.4 billion, down 4 percent from $47.2 billion in 2012, while net income increased 11 percent to $3 billion ($9.04 EPS) from $2.7 billion ($8.36 EPS). Segment operating margins hit a record 12.7 percent, up 90 basis points over 2012. Free cash flow for 2013 was a strong $3.7 billion, with $3.3 billion returned to shareholders through a combination of share repurchases and dividends, an 89 percent return rate. Last October Lockheed had forecast that sales in 2014 would likely trend down slightly versus 2013. Backlog at the end of 2013 stood at a record $82.6 billion, up slightly from $82.3 billion a year ago, marking four straight years of growth. The increase was driven mainly at Space Systems, and to a lesser degree by MFC and MST, which all combined to more than offset declines at Aeronautics and IS&GS. International orders represent about $20 billion of the backlog, Hewson said.